You’re here because you want to cover up those unsightly plastic wheelie bins. I don’t blame you…they can be quite offensive! 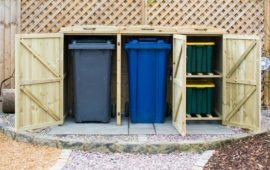 In this in-depth review, I help you decide which is the best wheelie bin storage solution to go for. 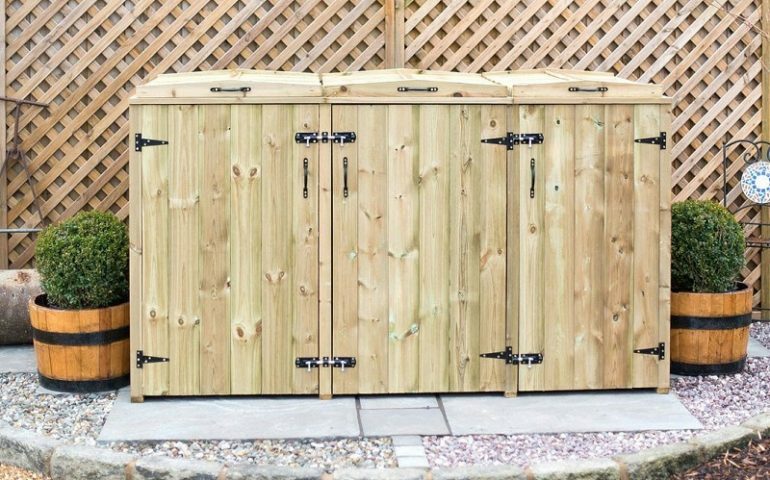 Be it a single, double or triple wheelie bin storage shed. 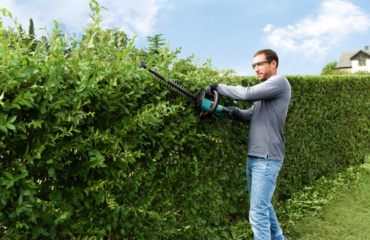 I’ll also provide some useful information on the key questions you need to ask yourself before buying. Note: If you want to see the ones I’ve selected, scroll further down the page. Or you can continue reading for some important information. As I’m sure you can imagine, there is almost an endless choice of options available. Sometimes it’s not obvious which choice to make. More is not always better, so let’s narrow our choices down a little. 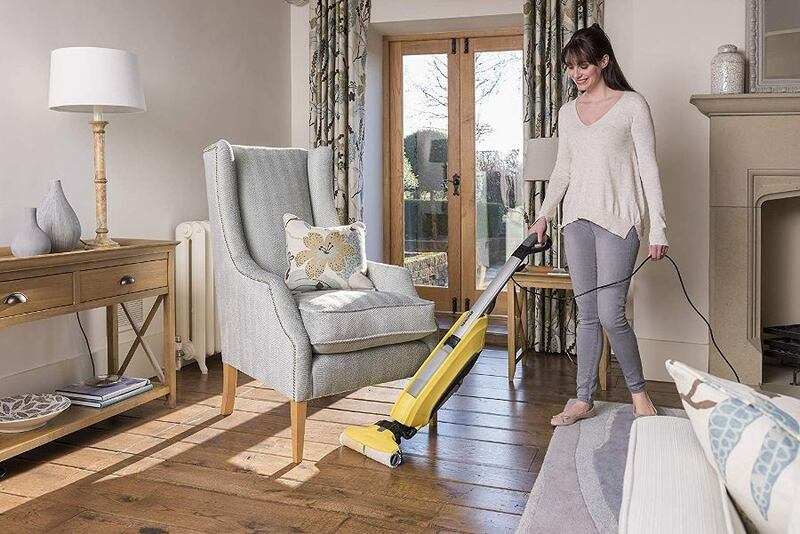 Pressure treated wood to safe-guard against rot and bugs and help it last longer through the use of chemicals. 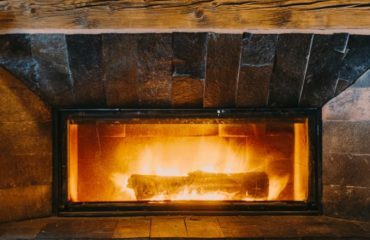 I will mention next to each bin store which type of wood is used so you can decide if it’s right for you. As you can probably guess, eco is the cheapest. The other two options are more expensive. 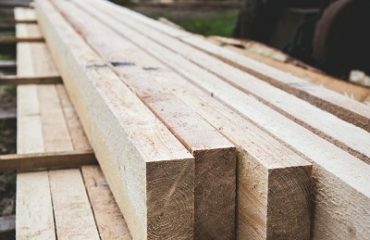 You’ll often find Eco and FSC certified woods have been pressure treated for durability, too. 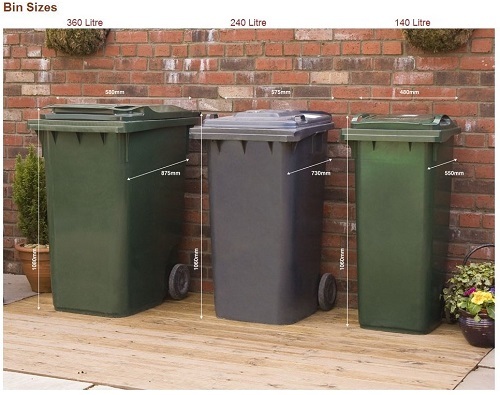 Across the UK there are a variety of bin sizes, from 140 litre smaller bins to 360 litre large bins. There are also the smaller, recycling boxes and the curbside caddies for recycling food waste. It’s all dependent upon where you live and how your local council decide to implement their recycling strategy. Often, councils will provide large plastic bins for recycling. These sheds are to be used as a recycling bin store. But I digress…Let’s get back to your bin stores. It’s a common thought. 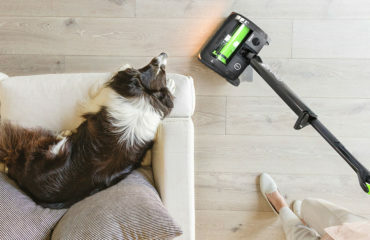 Which is better, wood or plastic? 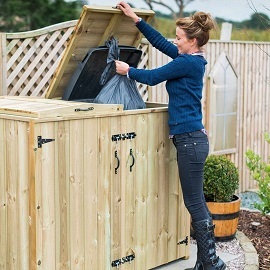 It’s subjective, but there are some major considerations all of which I cover in my best plastic wheelie bin review post. 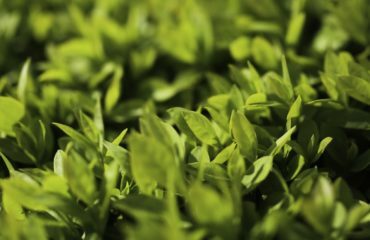 If you’re unsure which is best for you, be sure to check out that post before you make a final decision. 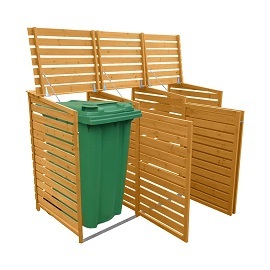 Decide which bins you want to store in the bin store, as there are multiple options available for different sizes. 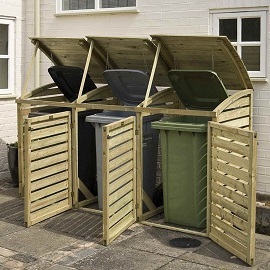 This multi-purpose bin store houses both the large plastic wheelie bins and two recycling boxes. Depending on how large and how many rubbish bins you have, this will impact your decision. 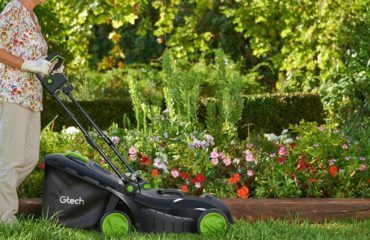 OK, let’s take a look at some of the other considerations. Does it need to be lockable? Do I need it to be secure? 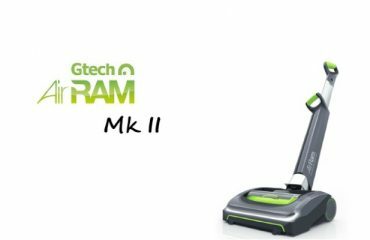 How much space do I have and how many bins should it store? 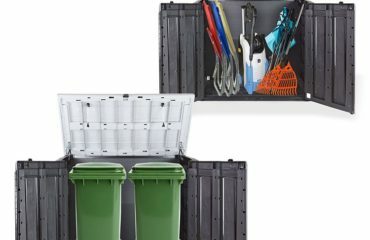 What size bins do I have (140L, 240L, 360L) and are they all bins or some boxes, too? 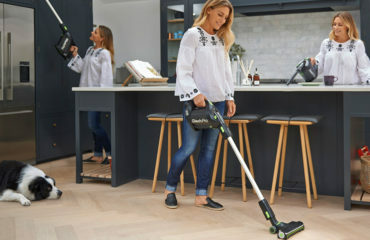 Will I want to move the bin store, and therefore need a lighter one? Does it have a floor and back wall? Some come without one or both. Those without a back are designed to be pushed up against a wall. 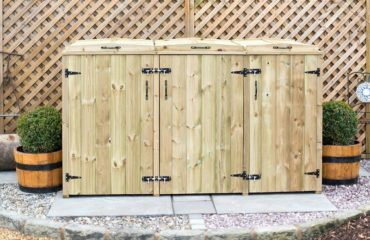 This is not an exhaustive list but it should help you decide on the key features your storage unit needs to have. 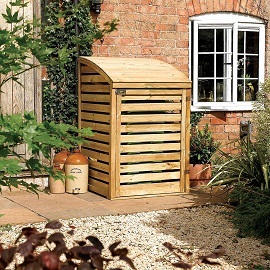 OK, so above I covered some key points about which is the best wheelie bin store for you. 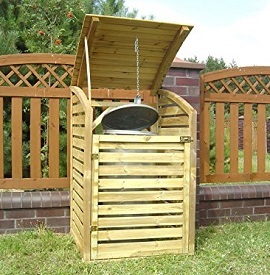 Below is my selection of single, double and triple wooden bin stores for your garden or driveway. I have categorised them into a “best value” and “Luxury” option so there is something for everyone. 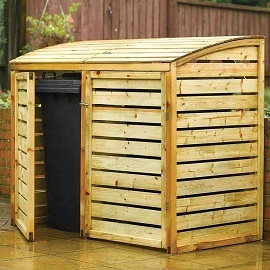 If you’re after the cheapest wheelie bin storage unit you can find, check out Amazon. It will hold a 240 litre wheelie bin. It will store 2 x 240 litre wheelie bins. It will 3 x 240 litre wheelie bins.